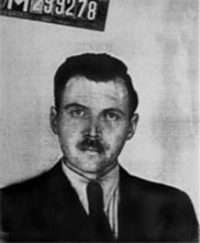 Mengele came to Auschwitz in 1943 and conducted experiments on prisoners, especially twins, in the name of “science.” He escaped imprisonment after the war and became a citizen of Paraguay in 1959. He later moved to Brazil, where he met up with another former Nazi party member, Wolfgang Gerhard. In 1985, a multinational team of forensic experts traveled to Brazil in search of Mengele. They determined that a man named Gerhard, but believed to be Mengele, had died of a stroke while swimming on February 7, 1979 and was buried under that name. In 1985, German police, working on evidence they had recently confiscated from a Mengele family friend in Günzburg, located Mengele’s grave and exhumed his corpse. With Dachi’s help, dental records confirmed that Mengele had, at some point, assumed Gerhard’s identity, and was in fact the stroke victim. Dachi was interviewed by Charles Stuart Kennedy beginning in 1997. His oral history is now also part of the collection of the U.S. Holocaust Museum. You can read other stories about World War II or read about how Dachi was recruited by the Hungarian Ministry of the Interior to be a spy. You can also listen to a podcast where Dachi talks about his life in Europe in the 1930s. You can read more Moments on World War II. DACHI: Josef Mengele was a doctor with the German SS. He was assigned to Auschwitz. At Auschwitz, he was the man who conducted the bulk of the medical experiments on the inmates and, in particular, was doing all this research on twins that became so notorious subsequently. He was one of the major Nazi war criminals who was not in custody at the time of the Nuremberg trials. After the war, he hid in Germany for a while but then with the assistance of his family, which owned a farm tool company in Germany, escaped to Argentina, where he lived under an alias for quite a few years during the Peron era without much danger to him. After Peron was deposed in 1955, many of the Nazi war criminals hiding in Argentina began to feel less safe and Mengele for one, moved to Paraguay. He acquired Paraguayan citizenship under his own name. President Alfredo Stroessner the Paraguayan dictator was well‐ known for hiding Nazi war criminals, although Argentina was the most notorious of them all. They certainly protected a huge number, took their wealth, and so on. In 1961, after about 18 months in Paraguay, Mengele moved to Brazil. By that time, the West German government was trying to look into his possible extradition. 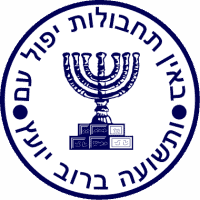 Another dangerous development for him was the fact that the chief administrator of the Holocaust, Adolf Eichmann, had been captured in Argentina in 1960 by the Mossad, the Israeli intelligence service, and spirited out to Israel, where he was tried, convicted, and eventually executed. 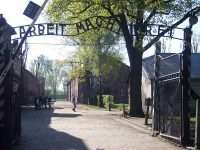 Mengele went to Brazil in 1961 and went back undercover with a new alias, Peter Hochbichler, after living openly under his own name in his last few years in Argentina and subsequently in Paraguay. Eighteen years later, in 1978, he went to the beach in Bertioga, a town not far from Sao Paulo with this German couple. While he was swimming he had a stroke and, as a result, he drowned. They buried him secretly under a false name. Even after all that time everybody in the world still thought that he was in Paraguay. No one suspected he was in Brazil, even though his son had gone there clandestinely to visit him, once before he died and once again after his death to recover some of his possessions. All those years, no one, not even in the network of the many Nazi fugitives hiding out in neighboring countries, really knew where he was. His family in West Germany always knew and had been in regular contact with him both by mail and through personal emissaries. But they had always paid off enough people in the local police in Günzburg, Germany where they lived, so that they could never find or seize any evidence. Then in 1985, about the time I arrived in Brazil, the last guy at the local police in Günzburg that they had paid off died or retired. At that point the German police raided the Mengele family house and for the first time caught them by surprise and found some letters and other documents. Based on that evidence, they found out where he had been living. They came over to Brazil, staked the place out in the Sao Paulo suburb of Santo Amaro, and together with Brazilian police went in, seized the couple that had hidden him, and learned that Mengele was no longer alive. The family took them to a grave where they claimed they had secretly buried him and the remains were exhumed. Then the large-scale operation to determine if this really was or wasn’t Mengele began. The U.S. had just signed an agreement with Germany and Israel that we would henceforth cooperate more closely on Nazi hunting operations. But the Germans were so eager to nail Mengele and get the sole credit for it that they actually came over and, together with the Brazilian police, staked out the house and exhumed his body without telling us. Of course, we didn’t like that, to put it mildly. In any case, the Brazilians didn’t buy into the proposition that all this was to be done in secret, and we found out about it when they invited a TV crew to the exhumation, which was then covered in macabre detail on national television. My instructions were to follow this case for the U.S. government because, better late than never, we wanted to know exactly what was going on and we wanted to make certain that we knew for sure whether this really was Mengele or not. Nowadays you can identify people by DNA. That was not yet the case back in 1985. You only had fingerprints and dental records. Of course, there were no fingerprints. The exhumation only yielded a skeleton. If you have dental x‐rays taken of someone before he died and you are certain of his identity, you can take x‐rays of the skull and match up the teeth very accurately. So a bunch of people went to work on this. I was just an observer at that point. I was sitting in on all these sessions. After about a week, the various forensic specialists started comparing and discussing their findings, using slides to project their data on the wall, and so on. The Germans were the most methodical. They projected a chart of the skull on the wall. On that slide they had over 40 numbers or labels attached to each anatomical angle, curvature, and point on the skull. Through a technique called craniometry you can match that up with photographs of the person you are trying to identify and measure those same features. Then you overlap them and, if they match, you can make a pretty good identification. Well, they put this thing up on the wall. They had everything on that skull numbered for every single anatomical feature of the skull. There was only one thing on that skull that didn’t have a number next to it. That was a hole in the left cheekbone which was clearly not an anatomical feature. It was a hole that, to me at least, was obviously caused by a pathological process. With all the experts and scientists who were sitting there looking at it, not one of them had noticed it. We took a closer look at the skull and, sure enough, it became apparent to everyone that this was most likely to be a pathological hole, not an anatomical feature. I am skipping over a lot of details. After several days of discussing and weighing the options they asked me to do the pathology work together with a Brazilian specialist and try to establish that this hole really was a pathological abnormality and not an anatomical feature. It’s from some kind of disease process that destroyed part of the bone rather than an anatomical feature. So, together with the Brazilian pathologist, we prepared some slides from the bone tissue and performed a microscopic examination. We established that there had been a long‐term infection in the maxillary sinus of Mengele’s upper jaw. From questioning the people who had harbored him, we knew that while he was hiding out in Brazil for years he would get big dental abscesses and infections with swelling in his face and that some years later he had had a root canal done. During his first few years in Brazil he had been afraid to go to the dentist because he was afraid of being discovered. So, since he was a physician, he would lance the abscesses with a razor blade and drain the abscess himself. I am trying to keep this thing relatively palatable for you in language. So basically he had an infected tooth for several years before he had a root canal done, and because this infection was not treated properly for so long, it worked its way into the sinus and eventually leaked or drained out to the face through the perforation or hole in the part of the cheekbone covering the maxillary sinus. Once we established by microscopic examination that the hole in the skull was connected to the infected maxillary sinus, the officials in the Office of Special Investigations [of Nazi war criminals] at the Department of Justice had me come up to the Smithsonian to make a presentation of the evidence. They invited back all the forensic scientists who had participated in the original investigation and I presented the findings, speaking as a fellow pathologist. I showed them the results of the study and explained the whole thing. The findings were accepted as valid by all the specialists. Then came the end game. The people from the Department of Justice said to me, “Look, in the meantime, we have studied Mengele’s diaries that were found in the house in Santo Amaro. We all knew that if we could find the dental x‐rays, we could do the standard, legally valid forensic comparison and definitive identification. I agreed to try. When I returned to Sao Paulo, the first thing I did was to go to the Brazilian Federal Police. The diary was written in a crude, informal code, so it wasn’t totally clear to any of us who that dentist might be. Then the Justice Department asked me if I would look into it further on my own, since the Brazilian Federal Police wasn’t able or willing to do it. I then undertook a detailed investigation. I broke the code of the diary. With that and with various other bits of information eventually I found the two dentists who had treated him, one the specialist who had done the root canal and the other the general practitioner who had made the referral. Then I found the x‐rays in the files of the general dentist. With these x‐rays in hand, the forensic dentist from New York who was a member of the original team returned to Sao Paulo and the final identification was done. This created an international problem that perhaps would be of interest to talk about here. But just to finish the dental part, there were a number of people who could not accept this evidence, even though medically it was beyond any argument. The government of Israel has not said anything publicly one way or the other to this day. I should add, however, that the chief coroner of the Mossad came over to Sao Paulo in late 1986 and went over my work with a fine tooth comb. My interviewer at the State Department for the Foreign Service examination was greatly amused by the thought that a dentist would have pretensions of entering the Foreign Service. Read Stephen F. Dachi’s full oral history here.